Do you like having a new vehicle every few years, as well as the latest technologies? If so, you’ve come to the right place! 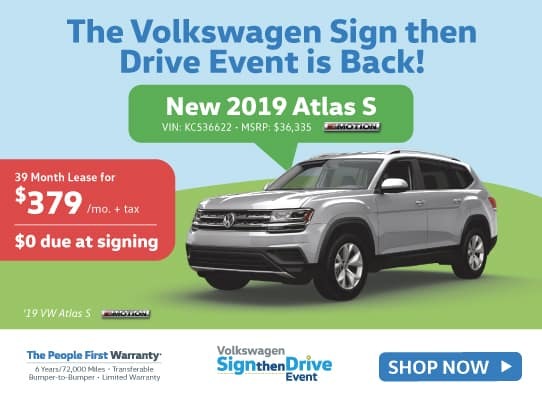 Below, you’ll find new Volkswagen lease specials available at Lithia Volkswagen of Des Moines. Whether you’re searching for a new compact, sedan, or SUV, you can find great deals on the car you want. See a vehicle you like? Contact us to schedule a test drive near Des Moines and Ubandale! 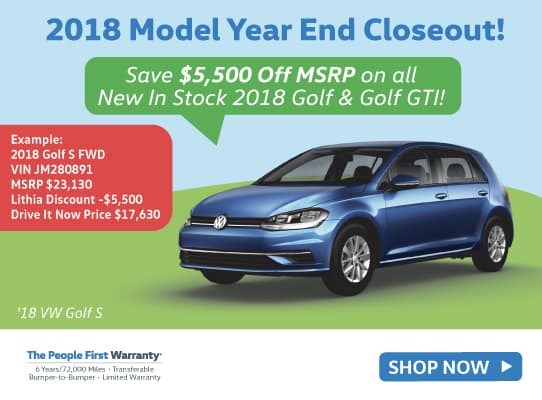 2018 Model Year End Closeout! * See dealer for details. Plus motor vehicle excise tax. license, and $180 dealer documentary service fee. **6 years/72,000 miles (whichever occurs first) New Vehicle Limited Warranty on MY2018 and newer VW vehicles, excluding e-Golf. Remainder of warranty coverage transfers to subsequent vehicle owner. See owner’s literature or dealer for warranty exclusions and limitations. Expires 04/30/19. 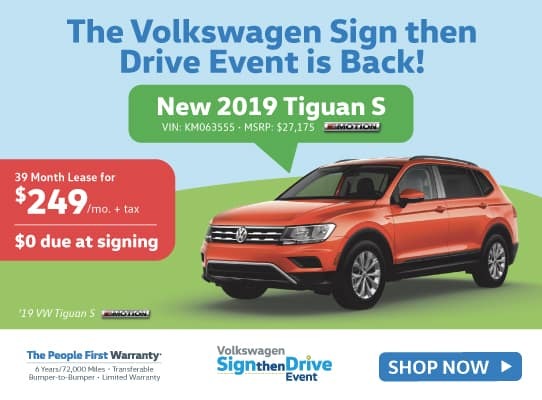 VW Sign then Drive Event is Back! **6 years/72,000 miles (whichever occurs first) New Vehicle Limited Warranty on MY2018 and newer VW vehicles, excluding e-Golf. Remainder of warranty coverage transfers to subsequent vehicle owner. See owner’s literature or dealer for warranty exclusions and limitations. 3 at this price. STK# KM109858, KM111586, KM116407. 36 monthly lease payments of $199. $0 down payment. No security deposit required. Based on 12,000 miles per year. Excess miles charged at .20 cents per mile. Lease end termination fee, $395. Plus motor vehicle excise tax. license, and $180 dealer documentary service fee. On approved Credit. Expires 04/30/19. **6 years/72,000 miles (whichever occurs first) New Vehicle Limited Warranty on MY2018 and newer VW vehicles, excluding e-Golf. Remainder of warranty coverage transfers to subsequent vehicle owner. See owner’s literature or dealer for warranty exclusions and limitations. 1 at this price. STK# KC536622. 36 monthly lease payments of $379. $0 down payment. No security deposit required. Based on 12,000 miles per year. Excess miles charged at .20 cents per mile. Lease end termination fee, $395. Plus motor vehicle excise tax. license, and $180 dealer documentary service fee. On approved Credit. Expires 04/30/19. 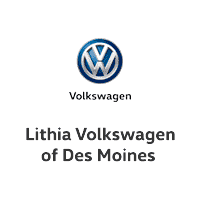 Why Lease from Lithia Volkswagen of Des Moines Near West Des Moines? 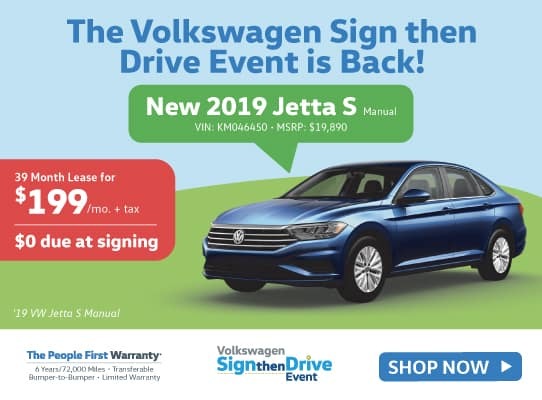 In addition to ever-changing lease specials, Lithia Volkswagen of Des Moines simplifies the car-buying process with knowledgeable financing assistance, as well as the option to value your trade. Additionally, we offer service that lasts, even after we hand you the keys to a new leased Volkswagen. Our state-of-the-art service center can help you address routine under-warranty repairs, so when your lease is up, you’re vehicle will pass its lease-end inspection with flying colors.